We live in a time of great changes. The planet is exploited beyond its limits and its equilibriums are in continuous transformation. We are changing ourselves in the way we live and think about our society. The most fragile and vulnerable are paying the price: those who are often left behind in this rush forward. At Chiesi we have always believed that it is necessary to take care of our planet and the people who inhabit it, rediscovering the value of mutual solidarity, as we are aware that every individual, as well as every living organism, is unique and irreplaceable. This is why we want to make the assurance of high-quality medical research available for the most fragile individuals so that we can closely listen to and understand them as people, not just as patients. 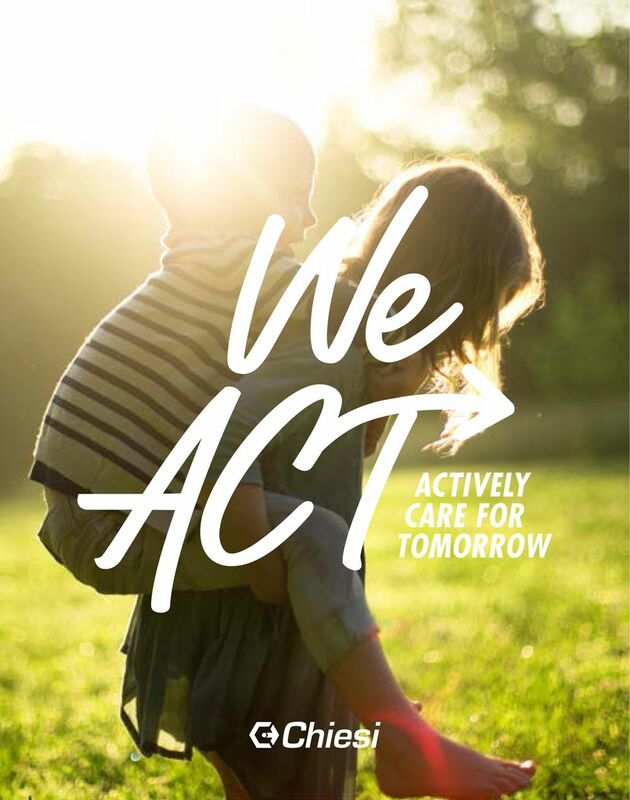 We want to act as a force for good, promoting a conscious and different way of doing business which strives to achieve a positive impact on society and nature by handling resources in a circular way and creating a new harmony and sustainability. The well-being of all depends on this balance. For us, this is the only true form of progress. Our team of professionals is highly motivated and open-minded as our culture guides us, valuing the diversity of each individual.